Sunset Overdrive, the ridiculously over-the-top crowbar-beating simulator originally released on consoles in 2014, has recently been rated by the ESRB for PC, as incredible as that might sound. 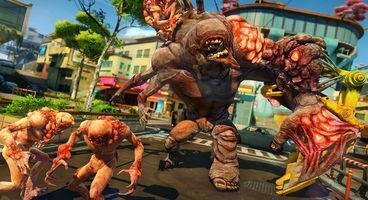 Taking up arms as a young survivor of the mutant apocalypse of Sunset Overdrive, players get to take up fantastical, jury-rigged firearms in an effort to stave off the inevitable onset of mutated monstrosities – or at least have fun in trying to do so. 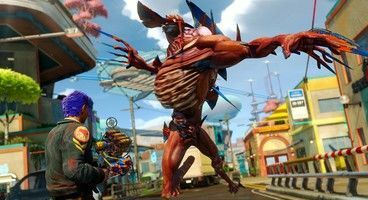 Developed by Insomniac Games of Ratchet & Clank fame, Sunset Overdrive was rated by the Game Rating and Administration Committee of Korea back in May this year, which tipped some of us off on what was up, but the recent ESRB rating seems to have confirmed the rumour. Sunset Overdrive hasn’t formally been announced to release on PC, but this latest rating seems all but a certain confirmation of the fact that it is, indeed, coming sometime down the line, even though it’s just about four years late now. ESRB notes that Sunset Overdrive contains egregious though cartoonish instances of violence, some sexually-charged humour, references to drugs and drug use, and swearing. Oh my. Let us see what comes of this in the coming weeks.